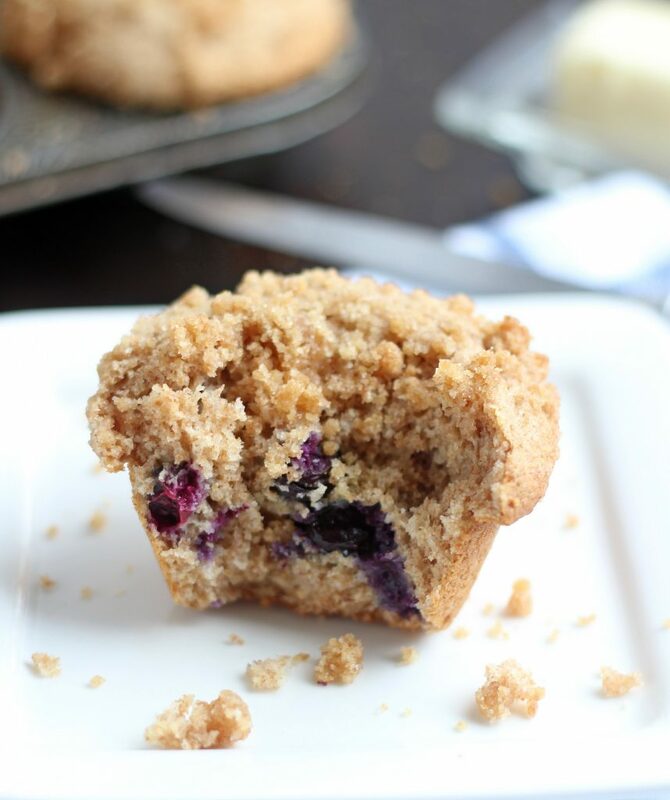 Tender, flavorful and topped with a delicious streusel, you’d never know these Whole Wheat Blueberry Muffins are made with all whole wheat flour. Who knew healthy eating could be so good? I know I post A LOT of sweets and treats on this blog, but I do actually make and feed my boys “healthier” foods than what I’m always posting. Unfortunately my boys have inherited my love of all things sweet. I blame it on my grandma and mom. I grew up eating delicious home-baked sweets and my love for them has never died. That love of goodies has been passed down to my boys. They all keep telling me they had better marry someone that bakes like I do, or they’re never leaving home. Despite the gazillion treats that come out of my kitchen, I really am always on the hunt for recipes that are healthier but still delicious. 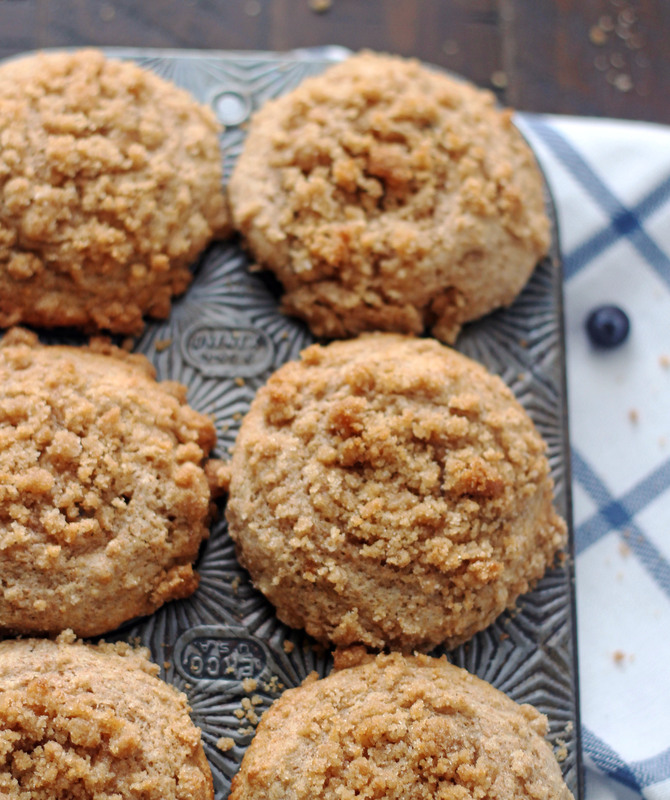 Enter these Whole Wheat Blueberry Muffins. 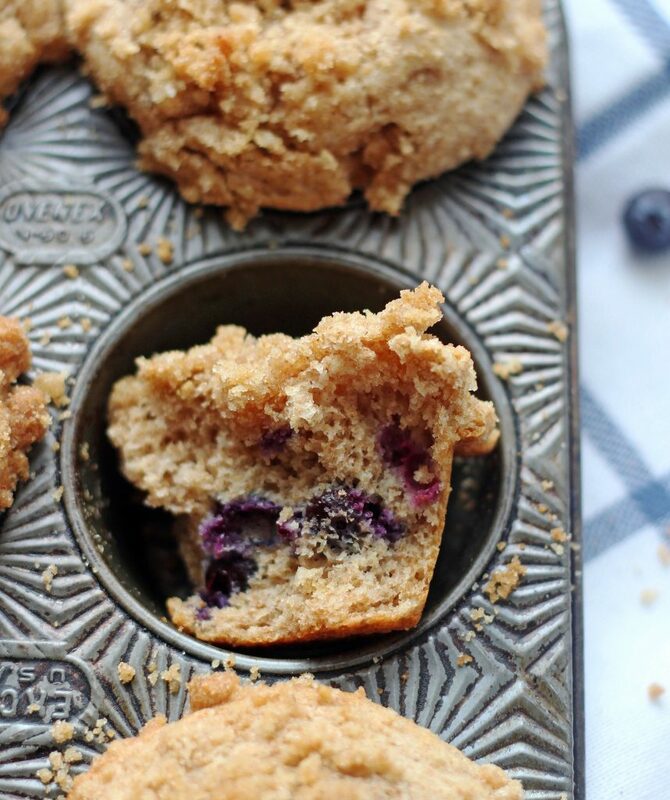 They are tender, bursting with blueberry flavor and slightly sweet. The streusel on the top takes these from good to completely delicious. We love these muffins! 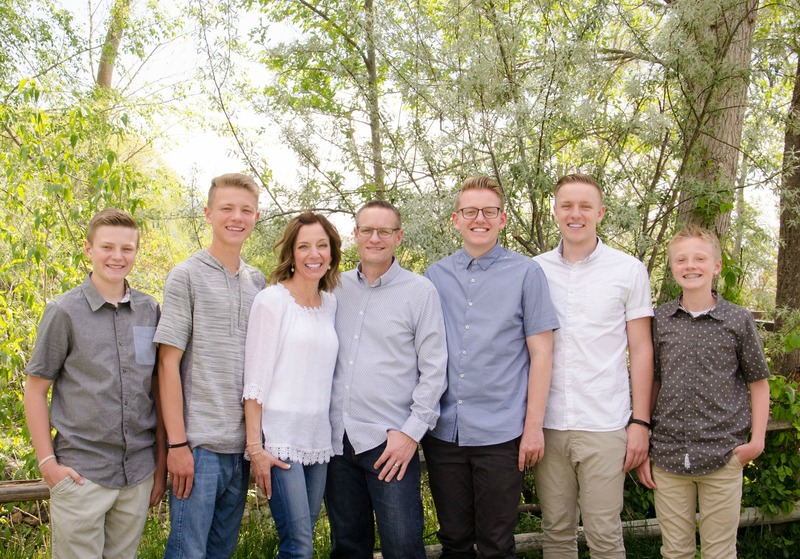 I sent a few with my oldest son Josh back to his apartment and his two cousins ate them before he could. I wasn’t at all surprised. I’m pretty sure that my nephew just wanted Josh as one of his roommates for my food. I’d bet my life on it. To make the streusel, whisk together the sugars, flour, and salt in a medium bowl. Stir in the melted butter, combining with your fingers or a fork until the mixture is evenly moistened and pea-sized chunks are formed. Set aside. To make the muffins, heat oven to 400F. In a large bowl, whisk together the flour, baking powder, baking soda, and salt. In a separate medium bowl, whisk together the sugar, eggs, butter, oil, buttermilk, and vanilla until well combined. Stir the sugar mixture into the flour mixture and fold together until just combined. Fold in the blueberries, making sure not to overmix. Line a muffin tin with paper liners. Divide the batter evenly among the liners, filling to the top. 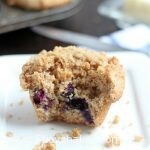 Sprinkle the streusel on top of the muffin batter, dividing it evenly. Bake until golden brown and a toothpick inserted in the center comes out with just a few crumbs attached, about 18-20 minutes, rotating the tin halfway through. Let cool in the tins for 5 minutes, then remove muffins to a wire rack to cool completely before serving. These look really good!! Muffins often have a scary calorie content, so I tend to avoid them. I figure if I’m eating the calories I might as well have a burger or something savory haha. I’m always on the hunt for healthy muffin recipes so I can have the occasional muffin, and this one looks great. Thanks Natasha! By the way, love your name. I have a sister named Natasha :).